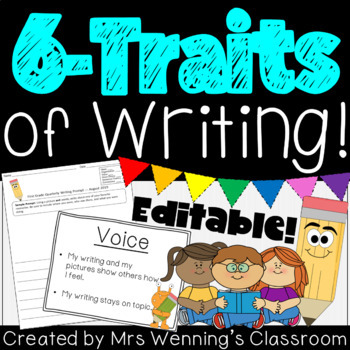 The 6 Traits of Writing Pack! 2nd Grade Writing Survival Kit! Whole Year Bundle of Resources! 1st Grade Writing Survival Kit! Whole Year Bundle of Resources! 3rd Grade Writing Survival Kit! Whole Year Bundle of Resources! 1st Grade ELA Survival Kit! Whole Year!!! 2nd Grade ELA Survival Kit! Whole Year!!! 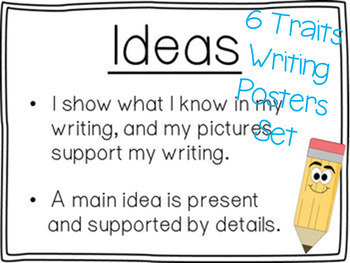 A great way to formally assess a piece of writing using the 6 traits of writing (2 versions attached)! Includes FAME Scale! Easy to use. Edit to fit your class needs or insert your own prompt! 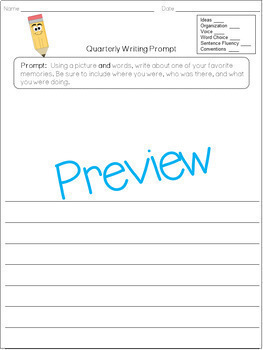 Use a science or social studies prompt to assess even more skills all at once. 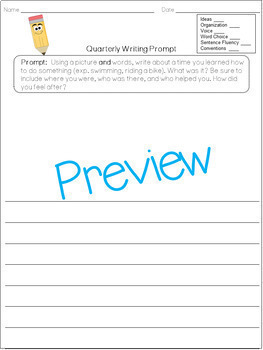 File also includes the 6 traits of writing posters and a quarterly writing tracking sheet! Use the 6 Traits Posters on a bulletin board. Keep them posted as a quick reference for your students or for use during a writing lesson. Color the frames (optional), copy on colored paper (optional), laminate, and display. Please visit my store for more lesson plans and ideas! Thank You!